CILS (Certificato d’Italiano come Lingua Seconda) is a Certificate of Italian as a Second Language that evaluates and assesses the competency level a student has achieved in Italian. Our Italian language school is also Officially Authorized by the University of Siena as an examination center in Italy. 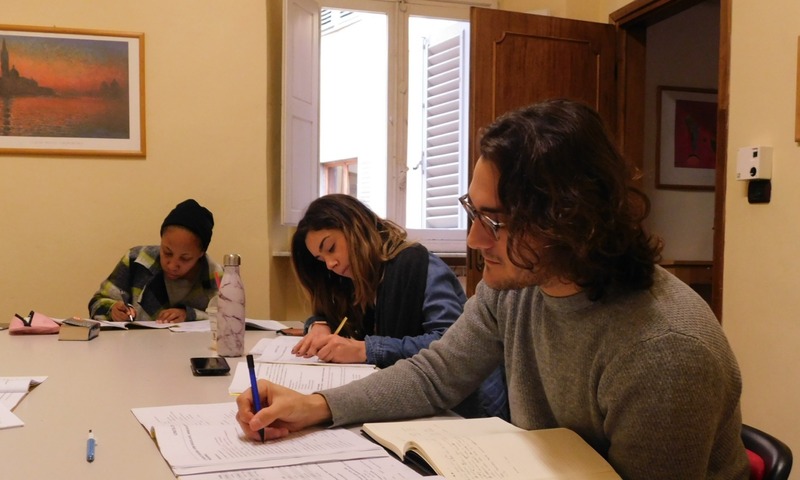 Parola Italian language school holds classes for the CILS certification in Florence at its headquarters in Florence. Parola school prepares students to take the exam using a specific and approved syllabus. Upon passing the preparation course at Parola, students are ready to take the CILS Exam. Parola school is an OFFICIAL EXAMINATION CENTER FOR THE CILS EXAMINATION, as authorized by the University of Siena. The CILS certificate is useful for anyone who works or studies in Italy or those who wish to measure their formal and official level of competency in the Italian language. The certificate given by the Università per Stranieri di Siena is legally recognized as an official certificate of linguistic communication competence. The certification system of CILS follows the guidelines set by the Common European Framework of Reference for Languages. The Common European Framework of Reference for Languages assesses and evaluates the knowledge and foreign-language teaching ability of language students. In addition, it is the framework that is used to determine the official levels of competence in Italian. (First level) This corresponds to the B1 level as indicated in the Framework of CILS. It develops a basic competency level to use Italian with autonomy in everyday contexts. (Second level) This corresponds to the B2 level and is considered an intermediate level. A student with this competence is able to use fundamental basics of Italian in a variety of contexts and situations. At this level, speakers are capable of using Italian to communicate effectively during their stay in Italy: for study, work or pleasure. Note that the possession of this type of certificate allows students who do not belong to the EU to register for university courses without undertaking an Italian test in the faculty. (Third level) This is equal to the C1 level in the CILS framework and represents a superior competence in the usage of the Italian language. The user at this level is able to utilize Italian effectively in a much wider range of contexts, including atypical situations, formal contexts, and in dealing with public and state institutions. (Fourth level) This corresponds to the C2 level in CILS framework. It is an advanced level indicating the individual is approaching the level of a native speaker. The user has a completely independent use of Italian both in formal and informal situations, as well as the capacity to effectively use Italian in professional contexts. The “A” levels are for those students who are in the process of learning the Italian language. The A1 CILS level indicates that a student has just started with Italian as a second language, while the A2 CILS level indicates greater knowledge and attests to a larger language competence. Neither level indicates an ability to communicate autonomously in Italian. There are also CILS programs for children of immigrants who are living in Italy, a course syllabus for adults whose first language is different from Italian (Japanese, Chinese and so on) or a syllabus for children of immigrants from Italy who live abroad. Contact Parola Italian language school for further information. Who is Eligible For The CILS Exam? Non-Italian citizens and all Italian citizens who reside abroad are eligible to take the exams. There are no limits with regards to age, nor is it necessary to hold any educational certificate or qualification. Each candidate is encouraged to prepare for the exam in the method most adapted to his or her needs and desires. To obtain a CILS certificate, it is necessary to pass the relevant exam. This exam consists of a listening test, a reading test, a writing test and a speaking test, as well as an analysis of the structures of communication. All of these evaluations are developed and scored at the Certification Center of the Università per Stranieri di Siena according to the guidelines set forth by the EU. Certificates are granted after a student reaches a minimum score on each session. In cases where the minimum score was not achieved to obtain the certificate, candidates need only retake those sessions in which the score was insufficient. Exams take place only in official centers around the globe. These centers also handle the registration for the exams. The cost is calculated on the basis of the GDP of the country in which the examination is taken. In cases where students retake only those parts of the exam in which the minimum score was not achieved, the cost is calculated at one-fifth of the total cost for each session re-taken. Students interested in the CILS test preparation in Florence can contact Parola Language Institute for further information.